There is nothing better than to walk into your house after church on Sunday, and smell the rich aroma of Pot Roast cooking. There is a certain warm, nostalgic memory I feel every time I make my Mother's Sunday Pot Roast with Potatoes and Carrots. A chuck roast is my favorite roast to cook. When purchasing a roast, like any meat, you still have to pick out the one that has the best ratio of fat to meat. The selection of the roast is the deciding factor on how delicious this one dish meal is going to be. So pick out the best! I remember before church; Mother would sear the roast on both sides in a hot Dutch oven or iron skillet to get that intense yummy brown juices for gravy later. Then she would put the roast in a large, deep sided pan, slice onions on top, and cover it tight with foil. Bake for several hours or until we came in from church. Take it out and add the potatoes and carrots. 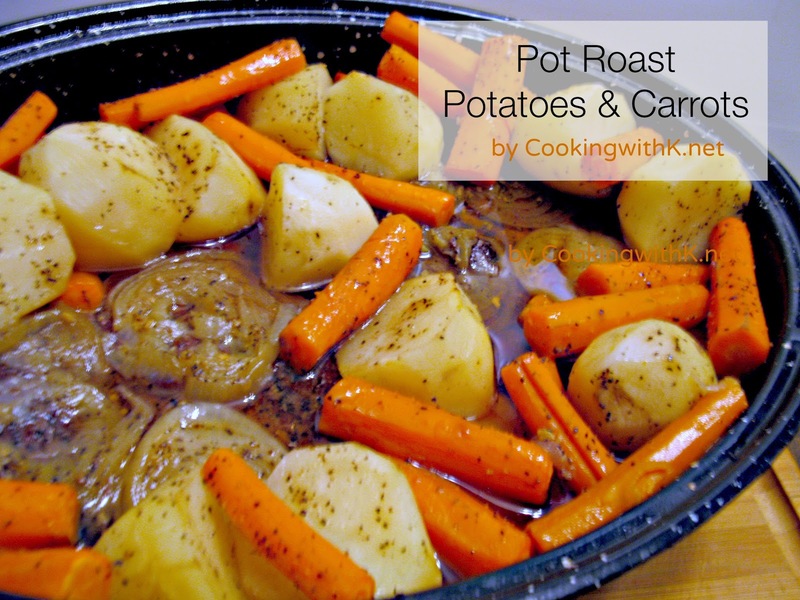 Lightly, cover and bake the potatoes and carrots until done. By the time, we changed out of our Sunday clothes and set the table it's time to eat. 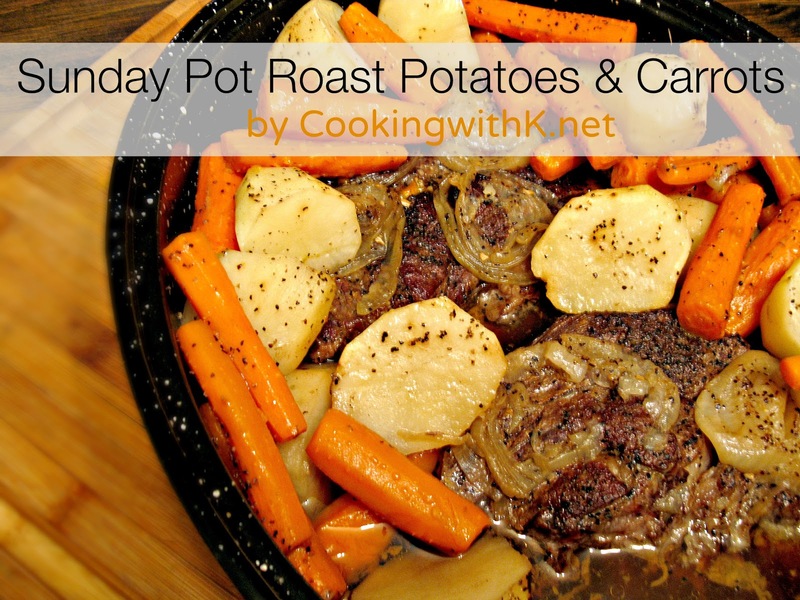 Pot roast is a favorite one dish meal around our dinner table, and no matter what day it is or what season it is, we always enjoy Mother's Sunday Pot Roast as a complete meal. Did I say it's a complete meal? All you need is a fork and a plate to enjoy the most delectable roast you have ever eaten, It just melts in your mouth! 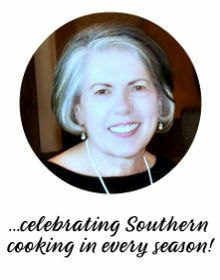 Hope you get the perfect roast soon and plan on having it for Sunday dinner. Enjoy! Preheat oven 350 degrees F. On high heat, heat olive oil in a large Dutch oven, or an iron skillet until hot, but not smoking. Salt and pepper each side of the roast and place in the hot oil. Sear until a dark crust forms on the roast. Turn the roast over and sear the other side. Arrange sliced onions on top of the roast. Sprinkle with Grill Mate Steak Seasoning over the onions. Add enough water to come up to just the top of the roast. Cover tightly with heavy foil. Bake for three to four hours. An hour before the roast is done add the potatoes and carrots. Lightly cover and bake until the vegetables are done. Mix cornstarch and 2 cups water until thoroughly mix. Add to hot roast drippings. Stir constantly until creamy and smooth. Salt and pepper to taste. Add remaining water if gravy is too thick and more if necessary. There is nothing like coming home from Church and smelling that Sunday Pot Roast just ready to take out of the oven, yummy! Hope you are having a fabulous day and thank you so much for sharing with Full Plate Thursday. This is serious comfort food. I love your pins too. Need to spend some time looking through them. 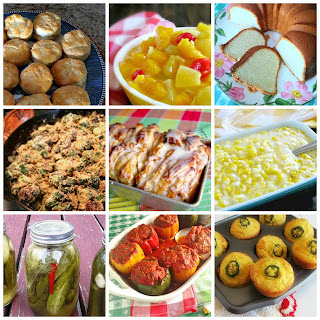 I would love it if you would share your recipe on my foodie friday party today. Making it for lunch tomorrow - Sunday- of course. 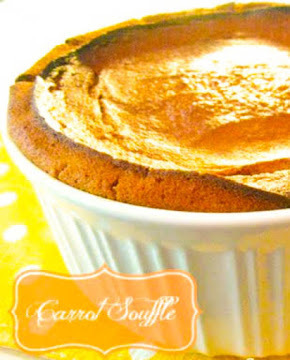 Thanks for sharing your recipe and linking to Tempt My Tummy. Hello! A few questions...would it be ok if I use the bone in chuck roast, is it absolutely necessary to sear the roast for this recipe and would it be ok if I add additional vegetables to this recipe? I know you have a similar recipe using the crock pot where you don't have to sear the roast, but unfortunately I don't own a crock pot. Thank you! Thank you for your quick response! For a family of 10, how many pounds of roast would your recommend? Thank you so much for your quick response! So I would be using the bone in beef chuck roast for this recipe? How many pounds of meat would I need to feed a family of 10? Thank you! You indicated to cover tightly with heavy foil. I assume you don't do this if you have a Dutch Oven. A Dutch Oven has a tight fitting lid. I am happy you stopped by to share. Welcome to CWK!